It’s a common story: You and your partner/sibling/friends make a pact to eat better. But to you, that means salad and vegetables. Your dining partner wants protein and carbs. Or maybe one of you has a dietary restriction, like Celiac disease, while the other is more concerned about eating organic, non-GMO food. 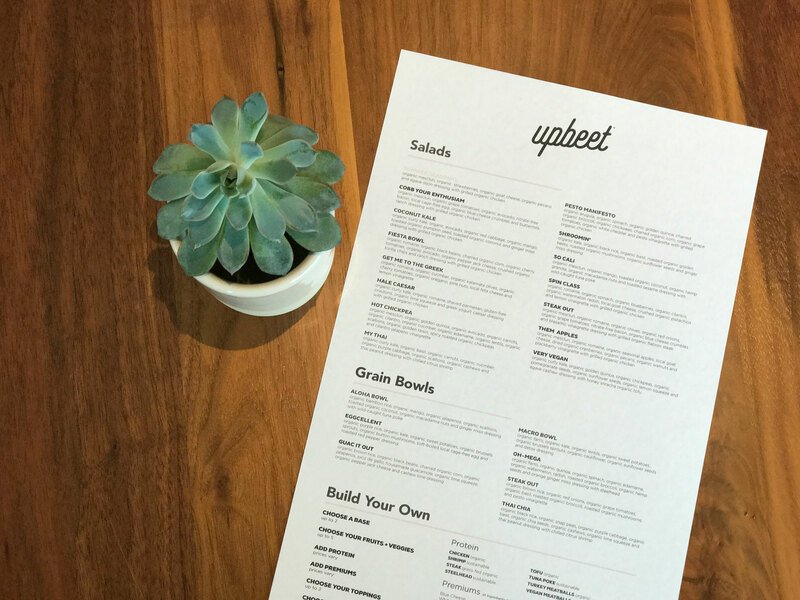 Upbeet, a new fast-casual restaurant opening June 10 on the Westside, aims to offer a solution. Created by Young + Hungry (formerly Better Brands), the company behind Yeah! 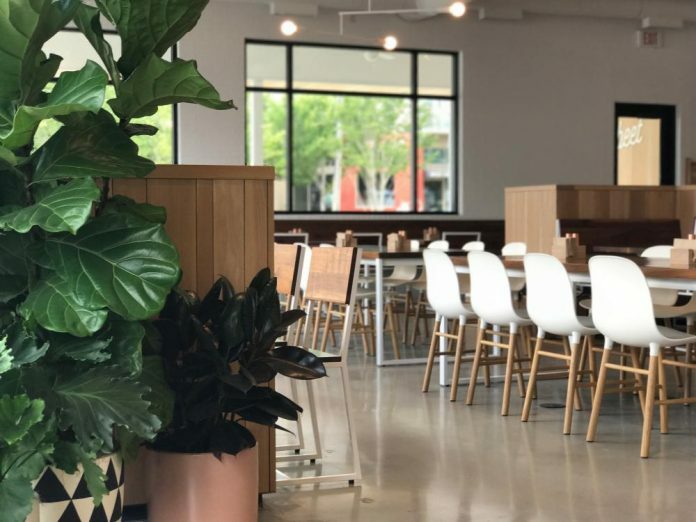 Burger, Upbeet will serve salads, grain bowls, acai bowls, smoothies, toasts, and yogurt bowls customized to your preferences and assembled in front of you. The entire menu is non-GMO and nearly 100 percent organic. Like Yeah! Burger, the restaurant uses energy-efficient equipment and composts and recycles to reduce waste. “We saw a trend of people wanting more vegan and vegetarian options. They’re paying more attention to how they eat and how it affects their well-being,” Young + Hungry CEO and founder Erik Maier says. The kitchen will be helmed by Young + Hungry culinary director Cristy Nolton. She’ll be making items like the Hale Caesar salad, made with organic kale, shaved Parmesan, organic chicken, and Greek yogurt Caesar dressing; the Spin Class salad with organic spinach, blueberries, pistachios, chicken, local goat cheese, and house-made lemon vinaigrette; and the Aloha Bowl with organic bamboo rice, mango, jalapeno, coconut, wild-caught tuna poke, and ginger miso dressing. The only “soda fountain” at Upbeet will serve house-made frescas and organic tea. Kombucha, cold-pressed juice, raw protein bars, vegan brownies, local beer, and organic wine will also be available (although the latter two won’t be offered at the opening). There will even be wellness and superfood lattes made with matcha or turmeric instead of espresso. Located at 1071 Howell Mill Road, Upbeet is decorated with white brick, geometric tile, oak paneling, and walnut furnishings. The dining room seats 100 people, and there’s a covered patio, too. “We feel like there is a lot of demand for a concept like Upbeet and want it to grow for sure,” Wallace says. However, there are no other locations on the horizon in the near future, as the company plans to focus on opening Yeah! Burger outposts in Buckhead and Nashville, Tennessee, Maier says.